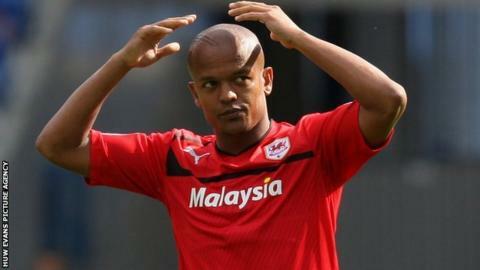 Wales striker Rob Earnshaw has joined Israeli side Maccabi Tel Aviv on loan until the end of the season. The 31-year-old in July 2011 on a two-year deal after coming out of contract at Nottingham Forest. But the 58-times capped international has not featured this season after falling down the Cardiff pecking order. "I am delighted with this latest addition," said Maccabi sports director Jordi Cruyff. "The last day of the transfer window always gives pleasant surprises and this is one of them. His goalscoring record speaks in itself." Cardiff have a number of striking options, having recruited the likes of Craig Bellamy, Craig Noone, Heidar Helguson and Nicky Maynard.